Jo Malone London Grapefruit Body Creme, 5.9 oz. 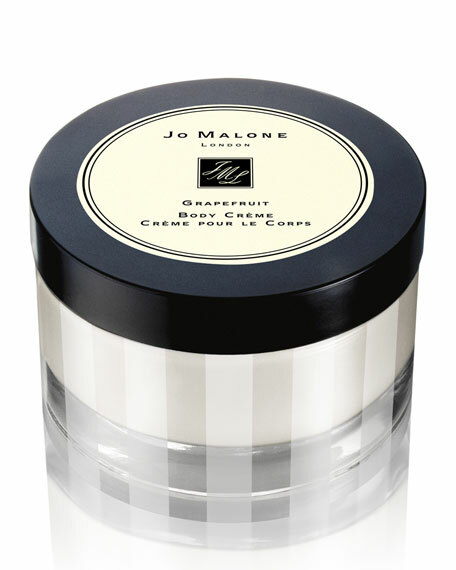 Jo Malone LondonGrapefruit Body Creme, 5.9 oz. As seen in Allure magazine (March 2007 issue, p180). Instantly awakening the senses, grapefruit is a lively, uplifting citrus with a spicy heart. Grapefruit and tangerine are combined with vetiver and rosemary to create this outspoken citrus scent. Grapefruit Body Creme, an exquisite combination of texture and scent, is the utmost indulgence. It keeps skin soft and pampered every day. Guerlain Shalimar Sensual Body Crème, 7.0 oz.